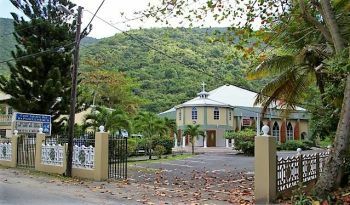 The ceremony is set to coincide with culmination of the Virgin Islands’ (VI), 2018 Heritage Month observances, with the annual Family and Friends Day. The renovated CCBBC ‘sanctuary’ will see the rededication programme featuring a ribbon cutting ritual and prayer Ceremony at 10:00 AM, followed by the celebratory service at 10:30 PM. Congratulations to all involved in the recovery and rebuild process. Good job. That locked back room still full up of relief supplies? Too bad they weren’t distributed to ALL residents. That’s ok, the good Lord will sort that all out when the time comes.